Welcome to Fourways Dental Clinic, conveniently located off the A127 near Harold Wood station. Here, our professionals know that dental health is not just about white smiles: it’s about having strong teeth and healthy gums. It’s about prolonging the simple joy of eating delicious things! Our mission is to help our patients accomplish these goals in a painless, compassionate, and efficient way. We aim to educate our patients in a safe environment while offering them necessary comprehensive care. We understand that many people have anxiety about dental treatment, so we created a soothing environment and a scheduling system that never keeps you waiting long. By combining the latest technology with traditional techniques, we give our patients the best care possible. Pine is the senior dentist at Fourways with over 40 years of experience. He began working here almost 30 years ago and has seen it flourish into the thriving clinic it is today. Dr Pienaar is an immensely enthusiastic clinician with a keen sense of humour and encyclopaedic knowledge of dentistry. He still regularly attends dental courses to keep up to date with the latest advances in the profession. Outside of work, Pine is an avid golfer and tries to play at least once a week. He also has a penchant for travel and fine cuisine. When he finds the time, Dr Pienaar additionally likes to repair & tune his classic motorcycles. Dr Rohin Butani B.D.S. (U. Birm.) MFGDP MJDF PGCert. Rohin graduated from the University of Birmingham in 2010, where he received academic awards for his professionalism and research. Following this, Rohin completed exams for the prestigious Diploma of Membership of the Joint Dental Faculties (MJDF). Working at Birmingham Dental Hospital as a Senior House Officer, provided further experience in more demanding and specialist aspects of Restorative Dentistry and Oral Surgery. Since then, Rohin has worked in General Practice gaining a wide range of experience and completed a Postgraduate Diploma in Dental Education allowing him to train other Dentists. Rohin has also recently completed the widely acclaimed Advanced Operative Aesthetic & Restorative Dentistry course with Aspire Dental Academy enhancing his skills in Cosmetic Dentistry and has also trained at the Royal Society of Medicine in anti-wrinkle injections (Botox) and dermal fillers. He is currently completing his training to place and restore dental implants. Harpal also graduated from the University of Birmingham in 2011, winning numerous honours points along the way. Following a successful year of further training in the West Midlands, he moved to Essex and was selected to complete a prestigious course on Cosmetic Dentistry & Aesthetic Restorative Dentistry with internationally renowned dentist, Dr Christopher Orr. This training has enabled him to beautifully carry out all manner of cosmetic work, from tooth whitening to smile makeovers. In addition to this, Harpal has also recently completed multiple courses with pioneering specialist orthodontist Dr Ian Hutchinson, allowing him to create beautiful straight smiles using the latest clear, removable & invisible (lingual) braces. He has also undertaken expert training in anti-wrinkle injections (Botox), dermal fillers & lip augmentation on London’s world famous Harley Street, helping him create subtle and natural improvements to enhance patients’ facial features and create a more beautiful and youthful look. 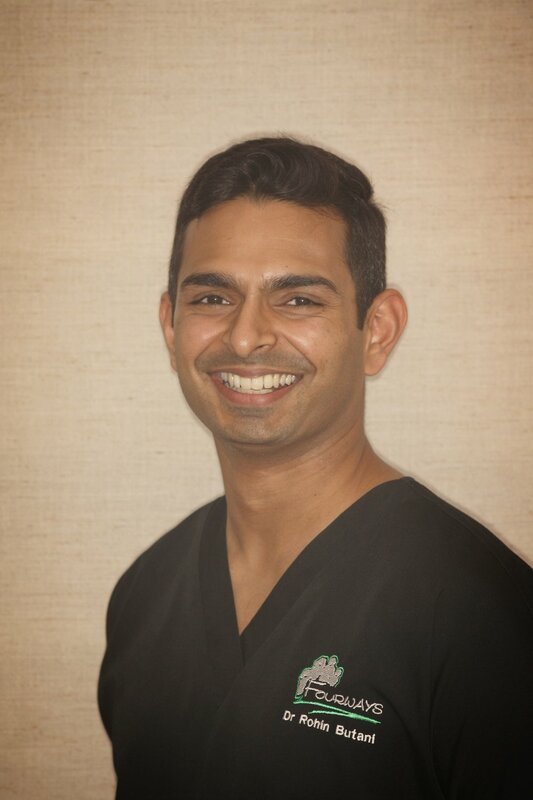 He is immensely passionate about creating beautiful smiles and is widely regarded amongst patients and staff for his ability to keep patients at ease with his friendly, calm and approachable chair side manner. Outside of dentistry Harpal enjoys travelling and socialising with friends, keeping fit in the gym and playing football. Hennie was born in Rustenburg, South Africa. He qualified with his undergraduate degree from the University of Pretoria in 1979, going on to complete his postgraduate degree (with honours) in Oral Medicine and Periodontics in 1985. Since 1985 he worked in private practice in Pretoria and lectured part-time at the University of Pretoria. Since 1996 he has worked in the UK and Tanzania as a Specialist in Periodontics. In 2005 he was appointed Honorary Lecturer in the Department of Periodontics and Oral Medicine at the University of the Witwatersrand. He has lectured and attended postgraduate training courses all over the world on periodontal and other dental subjects and has been the external examiner to the University of the Witwatersrand from 2001 to 2006. Hennie is registered as a Specialist Periodontist with the General Dental Council. Hennie is married with two sons and two daughters and is a huge rugby fan, particularly of South African test rugby. His hobby is breeding miniature horses and has written several articles for the Miniature Horse Breeders Annual Magazine. 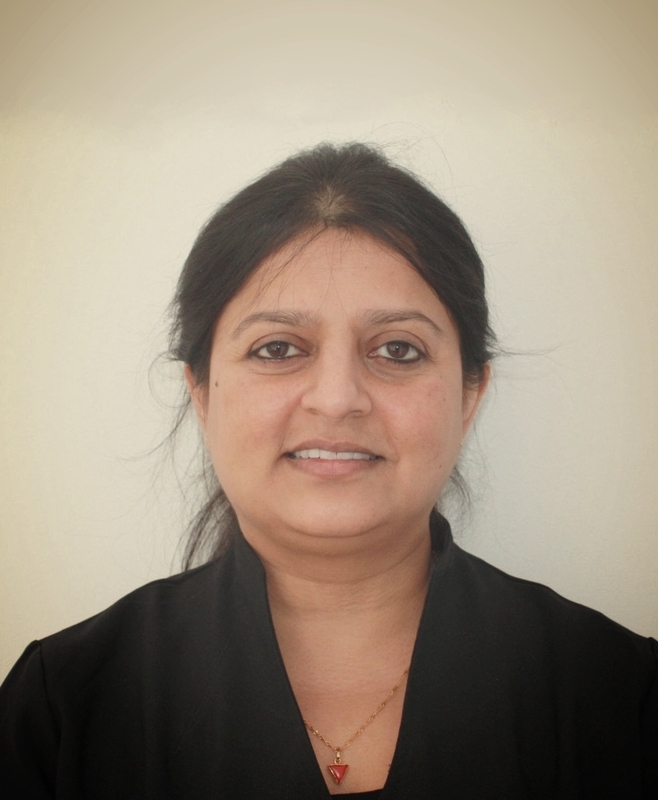 Shejal has almost 10 years of experience as a principal dentist and is passionate about her work. She enjoys smile makeovers and is a great down to earth talker who likes to keep things simple for patients. Sue Hodge C.E.B. Dip Dent Hygiene (Guy's London) Cert O.H.E. Sue qualified as a dental hygienist at Guys Hospital in 1991. Having previously worked at several practices in Essex, she joined Fourways in 2001. Her work always has been and remains a very rewarding and challenging area of her life. Her free time revolves around first and foremost golf, eating out, holidays, cooking, socialising, gardening and cramming as much fun as possible into her life. Danielle qualified in 2016, earning a distinction in dental hygiene and dental therapy from Barts and the London School of Dentistry. She was presented with multiple academic awards, including the best overall student prize for achieving the highest grades of her cohort in dental therapy. Danielle was awarded first prize for her research poster on ‘Aesthetic Management of Non-Carious Enamel Hypoplasia Using Minimally Invasive Techniques’ at the BSDHT national conference in 2016. At home, Danielle is married, has one daughter and a dog. She likes to travel as often as possible, especially to the USA. She is currently working towards a Master’s degree in Dental Hygiene.